Make no mistake. Drilling is bad for wildlife and the environment. Fortunately, Congress has the power to stop the administration’s destructive drilling plans — and protect the Refuge’s wildlife. Last year, Senator Ed Markey and Representative Raul Grijalva introduced legislation to once again ban destructive drilling in this fragile wildlife habitat. With a new Congress now seated, we’re calling on these lawmakers to once again take a stand for this special place and its wildlife — by once again barring drilling in this unique and wild place. Call on congressional leaders to ban oil exploration and drilling in the Arctic National Wildlife Refuge. 1. Miranda Green, “Latest Trump plans would open Alaskan Arctic to drilling by next summer,” The Hill, December 20, 2018. 2. Henry Fountain, “See the Scars That Oil Exploration Cut Across Alaska’s Wilderness,” The New York Times, August 3, 2018. 3. Alex DeMarban, “Prudhoe Bay spill in April leads to wider review, suspension of 14 wells,” Anchorage Daily News, July 18, 2017. 4. 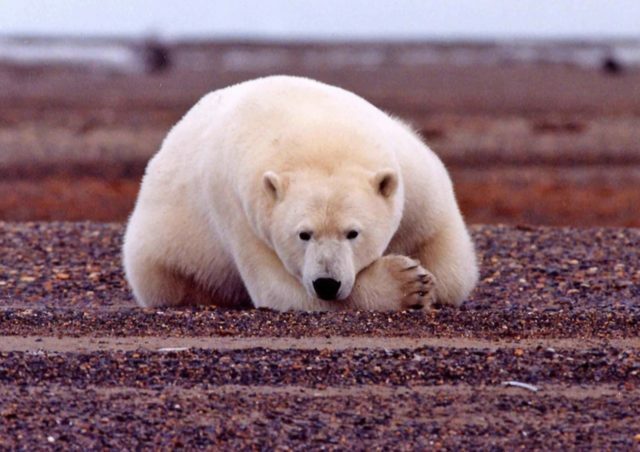 Henry Fountain and Steve Eder, “Drilling in the Arctic: Questions for a Polar Bear Expert,” The New York Times, December 3, 2018. 5. Joel K. Bourne, Jr., “Oil prospecting may begin in Alaska refuge this winter” National Geographic, November 20, 2018.